Since the title almost says it all, there’s not much for me to say really. I got a trampoline for Christmas, well, along with my brother of course. By its size you could say it’s the biggest present we ever got, in our entire lives!! What else do you get that’s bigger than your bed, besides a new bedroom or a new paint job on your bedroom, or how about a new wardrobe or… Hee, I’m going to get off the subject real quick if I start thinking about wardrobe. 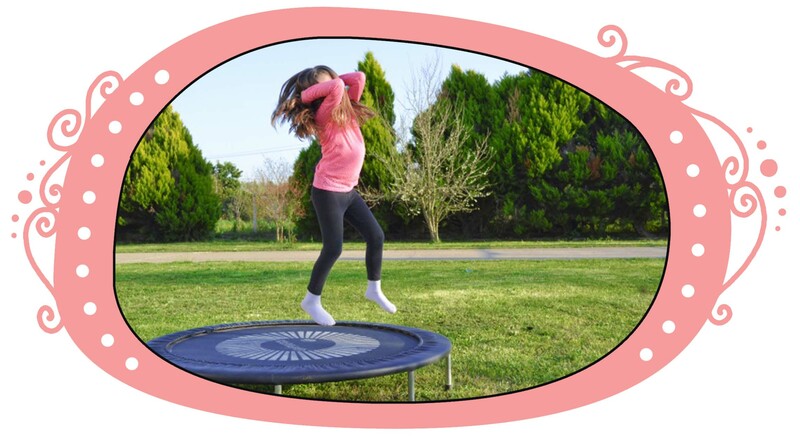 Well, yes, this trampoline, something I had my eye on for a very long time because I love to practice gymnasium, flips and tricks. And what better way than on a trampoline? It’s safe, it’s bouncy and it’s FUN in capital letters, which means I’ll say it real loud or I’ll say it again – IT’S FUN!!! Previous post: A brother, what a bother!